Since in my casual game there is a similar box to Pandora’s i decided to do a little research into it because all i know about it is that when its opened evil things come out. So i was reading a bit about it and it turns out its another story about the Greek god Zeus being angry at humans so wanted to punish them. In particular he was annoyed with Epimetheus and Prometheus because they stole fire which he had taken away from humans. Anyway the box gets opened by a woman called Pandora and then disease, crime, hate and envy fly out but also hope flies out. The box in my game is meant to be connected to an evil universe and when opened it merges the two worlds together so its pretty different to Pandora’s box but i thought id look into it anyway. 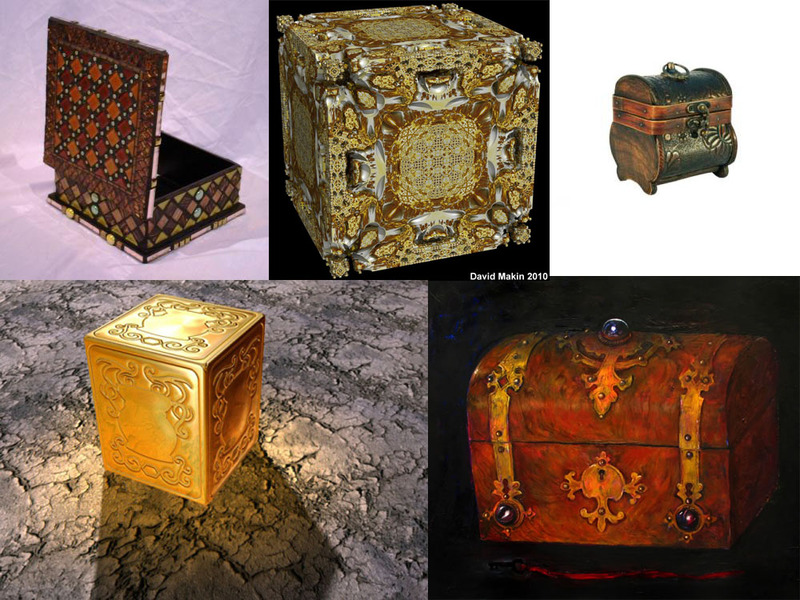 I thought id look for some images of Pandora’s box for ideas on how to design mine and found these.